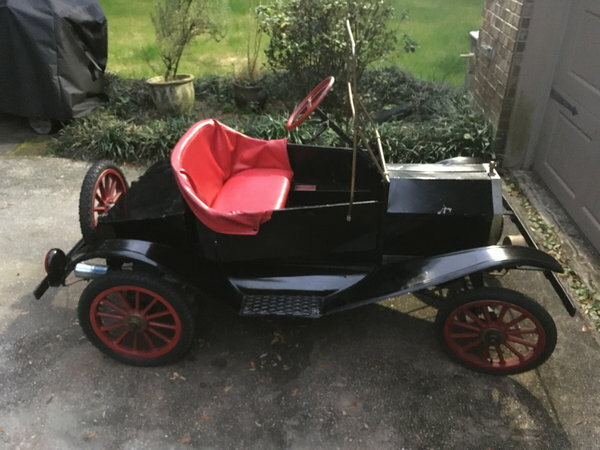 Ford Model T go kart, was an old Shriners car. Has 2 forward gears and 1 reverse. Flashing LED parade headlights and LED tail lights.